How will Google’s Latest Search Changes Affect You? As of April 21st 2015 Google changed its search algorithms to favour websites that are ‘mobile friendly’. This means that mobile optimised websites will begin to rank better in searches than those that are not. This change by Google is a response to the changing way in which users are increasingly searching for content via smartphones and tablets. It is a move to improve the user experience and ensure users are directed to mobile-friendly sites as a preference when searching for content on Google. If your website doesn’t have a responsive design or mobile specific site it is likely that your search rankings will suffer. This can send your website tumbling down Google’s search results and potentially cost you deals. Although this change has already taken effect there is still time for businesses to act. Google can recognise newly optimised sites quickly and will revise your search ranking accordingly. 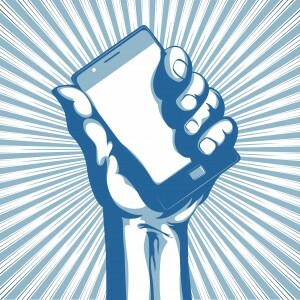 Contact Brightfox now and ensure your website is ‘mobile friendly’ and you’re not losing sales as a result! Why bother with video and what’s with all the fuss? Videos have always been a powerful tool when marketing property as they allow us to get potential buyer’s attention and help share the ‘story’ of a project or individual property in a truly engaging way. One of the greatest limitations of email design has been the inability to incorporate embedded videos into your emails like you would in a website or other interactive media. But times are a changing and Video support in HTML email is quickly becoming the hottest topic in email marketing circles. For those who have been working with direct email campaigns for a number of years you may recall that there was a time many many many years ago that most desktop and web-based email software supported video in email. But with online security tightening and spam becoming a bigger problem, the belt was tightened and video support in email became a thing of the past. With the release of HTML5, it may all be possible again. One clever project has surfaced that uses the <video> tag for browsers that support it and for those don’t support it provides a fall back to the traditional option of a cleverly designed image linked to your video on a hosting platform such as YouTube or Vimeo. 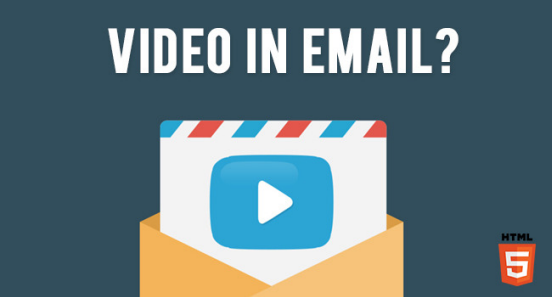 So why should you consider incorporate video into your email content strategy? According to a recent survey by the Web Video Marketing Council, a whopping 88% of marketers who included video in their email marketing reported a positive impact from recipients. With the rise in popularity of mobile devices, such as Apple iPhones & iPads, which provide the perfect platform for HTML5 and embedded video playback you have the opportunity to put your content rich visualisations directly into the hands of your customers. This direct compatibility is also true for Apple Mail, which is also excellent news for your desktop readers. Gmail and Hotmail users, can also view an inbox-playable preview if linked to a video hosted on YouTube. Is there a downside to incorporating video into my emails and how do I overcome it? Our recommendation is that you should do some market research and explore your options before deciding if it’s worthwhile incorporating video as a standard into your emails. Utilising a product like the foxMessenger platform provided by Brightfox will allow you to run your tests and review the report statistics of your send(s) to determine if you’ve had a better uptake from your customer base. What is interesting is that they pointed out all of the pitfalls, but didn’t really tell you how to avoid them. There are of course a couple of very simple ways to avoid paying too much for a property in the USA or even purchasing in a bad suburb or city. If you go to www.zillow.com you are able to search on the vast majority of properties in the USA, and in most cases get a price estimate and hopefully a price comparison with the market. This immediately gives you some rough idea of market value, and from what Zillow’s own research says, a figure that is pretty accurate. If you go here you can see how the Zestimate is calculated and how accurate it is for each city. As you can see you get a very good overview on the property, its expected financial returns and comparative listings. A great start to ensuring you are paying at or close to market value. Of course there is nothing like a local visit, so I would strongly recommend flying to the relevant City and doing a personal inspection and some general market research. 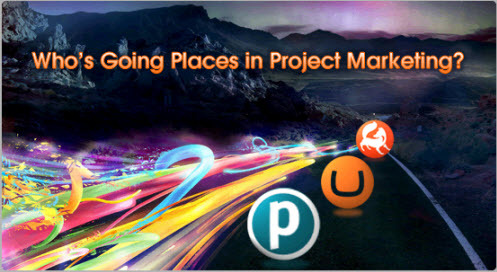 This month Brightfox is proud to introduce Brisbane based project marketer, Place Projects. In the last few months Place Projects have not only adopted foxEnterprise to manage the sales, marketing and reporting functions for their project sales but have also released a brand new website with a custom design by Brightfox utilising the power of the Umbraco Content Management System. The Place brand launched onto the Queensland residential real estate scene in late 2002 and since then has grown significantly in both recognition and in market position. 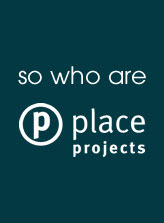 Walker partnered with this growing name, to open the Place Projects office. Understanding that their project marketing needs were going to be immensely more complex than a residential sales office, they approached Brightfox looking for a high quality CRM system and a website that could keep up with the times. to Kathy Cuthbert of Place Projects. up to date research from Place Projects own internal research division. ensuring it’s up to date and encouraging repeat visitors to the site. Raine & Horne + QR Codes – An Evolution or A Revolution . . . 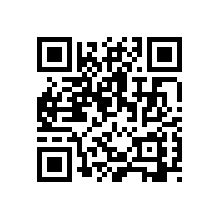 Some years ago on this very Blog we talked about QR codes and their possible use in real estate. Here in Australia they are finally starting to get a little traction (and I mean a little – the vast majority of Australian’s still don’t know what a QR Code is let along know how to use them). Raine & Horne, a large real estate franchise group, have recently gone through a complete brand revamp, and as part of this have included the overhaul of all of Raine & Horne’s digital media platforms. An interesting inclusion in their new media platforms is the use of Quick Response (QR) Codes across their entire media. QR Codes were originally developed in Japan by Toyota to track vehicles through the manufacturing process. The code consists of black modules arranged in a square pattern on a white background and were designed to allow its contents to be decoded at high speed. QR Codes have seen wide usage across Japan, Europe and the U.S. with smartphone users able to take a photo of the barcode which is placed onto traditional static media such as flyers and billboards. Users are then typically directed to further interactive content such as a plain-text message, website url, video url, enquiry registration form or email address. Though not as popular in Australia at this time, many local media agencies are beginning to see the potential for the use of QR codes to not only interactively communicate from what was a traditionally static channel but to also effectively track these offline user interactions. Where is the potential for the broader real estate industry? The primary potential for this technology in the real estate industry is to provide prospects with the ability to interact online with property listings after reading a traditional mail-out, sign-board or window card. In this way multiple images or interactive tours can be viewed after seeing coming across a simple static advertising piece. The typical usage scenario involves a potential purchaser driving through a suburb investigating different streets and neighbourhoods. After seeing a ‘For Sale’ or ‘For Rent’ sign the purchaser would normally have to remember the address (along with 10 others); visit an agency website and search for the listing from their phone (very time consuming); or call the agent for more information (which can be daunting). With a QR code printed onto or attached to the sign, the purchaser can simply take a photo of the barcode and be redirected directly to the property listing online or to an online enquiry form to submit their details or to ask more questions. An underlying advantage to QR codes is in tracking consumer interactions with your static media. By utilising unique URL’s for the various static media types (eg. Flyers – estate.com/flyer; Window Cards – estate.com/wc) redirecting to the appropriate content, entry points can be tracked back to the offline media that directed the traffic. A much more accurate way of tracking user interaction compared to the classis, Where did you find out about us . . . ? QR Codes; the next big thing? Will QR codes be the next big thing in real estate? Probably not. But is there a fantastic potential for tracking offline marketing and greater consumer interaction – Definitely! Only time will tell . 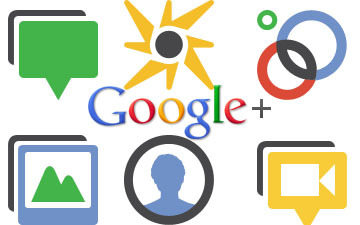 . .
Is your website a Google friendly website? One of the most important things to consider when looking at your website is to determine how “Google friendly” it is. If you want to rank better on Google, you need to make sure that you are “playing their game” and giving them the information they are looking for, so that they favour your website over your competitors. Take a look through the simple tips below, and use this blog post as a checklist of tips for creating a Google-friendly site. This is probably the single most important thing to do. Make sure you provide quality content on your pages, especially your homepage. If your pages contain useful information, their content will attract visitors and entice others to link them, thus creating a helpful, information-rich site. You should aim to write pages that clearly and accurately describe your topic. Think about the words users would type to find your pages and include those words on your site, but within a natural flow of information. Natural links to your site develop as part of the dynamic nature of the web when other sites find your content valuable and link to it. Don’t fill your page with lists of keywords or attempt put up pages just to attract the spiders. If your site contains pages, links, or text that you don’t intend visitors to see, Google considers those links and pages deceptive and may ignore your site. Don’t feel obligated to use companies that claim to “guarantee” high ranking for your site in Google’s search results. While legitimate consulting firms can improve your site’s flow and content, others employ deceptive tactics in an attempt to fool search engines. Be careful, because if your domain is affiliated with one of these deceptive services, it could be banned from Goggle’s index. Don’t create multiple copies of a page under different web addresses. Many sites offer text-only or printer-friendly versions of pages that contain the same content as the corresponding graphic-rich pages. To ensure that your preferred page is included in our search results, you’ll need to block duplicates from our spiders using a robots.txt file. Brisbane Business News has just published an article showing a worrying trend for apartment developers with commencement of new product down almost 13 per cent in the last 12 months. Visit Brisbane Business News to read more . . . If you don’t already know what Google Places is all about, it is basically Google’s attempt to provide relevant local search results to searchers based on their geographic location. So when you search for something like “Real Estate Agent Capalaba”, Google assumes (and rightly so) that you are looking for Real Estate Agents in Capalaba. If you do not already have your office set-up with a Google “Places” page, now is the time to do so. • It will help people find you more easily. • It makes Google happy. Why get a Google Places listing now? Recently, Google has rolled out changes which emphasise how serious they are about the Places search and helping users quickly finding local business results. Places is now a search type of its own, found in the left-hand column on Google, along with other common search categories. What’s different about Google Pages listings? Places Listings have far more prominence than they used to, dominating the results page. They also provide more information than before, including an image if images were provided with the listing. To understand the impact of this change, consider your search engine optimization efforts. If you used to be on page one of Google for a search term that is local in nature, your business might be relegated to page two with this change. As well, the map works differently now too. It has been moved over to the right-hand column above the AdWords ads and it will now scroll down the page as you do. Places is so important to Google, that the map will actually cover up those AdWords ads which are also so valuable to Google. This says a lot about how important local business listings are to Google. Create a Places listing for each physical office you have. Complete as much information as you can in your Places listing. Ensure you’ve listed your business in as many categories as are applicable. Add links back to your main office website.